SCS Software’s American Truck Simulator has long been a relaxation game for me. Taking to the open highways and byways of California, Nevada and Arizona in my pimped out (snakeskin decal and buffed engine) truck, taking in the views… and the idiocy of rush hour traffic. 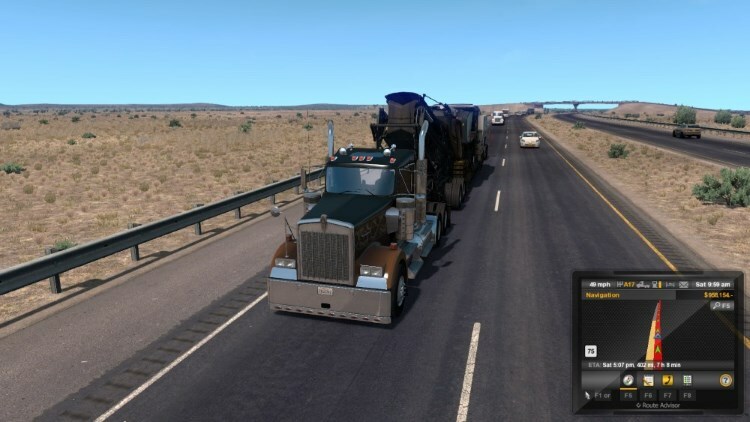 Recently, I got the chance to take a look at the two latest DLC releases for the game: New Mexico and Heavy Cargo. Click here to read my full review on Geek Syndicate.